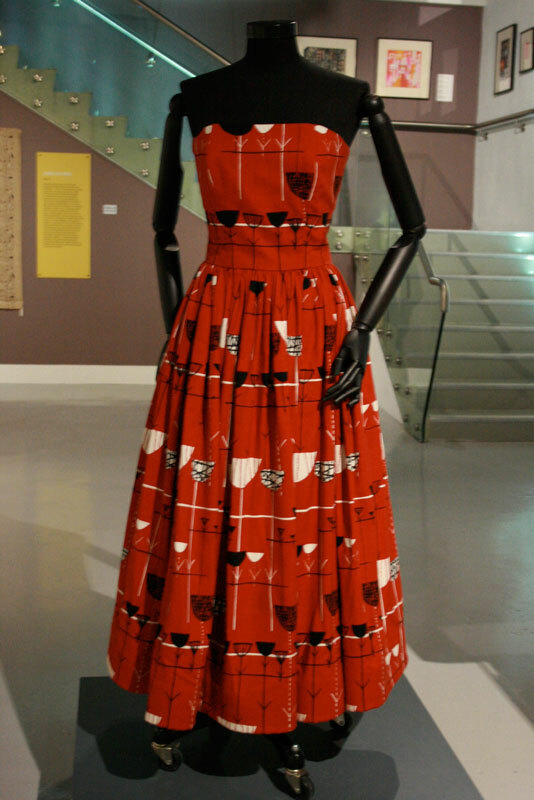 Today, I took full advantage of my freelance status, ditched the children for a couple of hours and headed off to the Fashion and Textile Museum, near London Bridge, to see Designing Women: Post War British Textiles exhibition. What a totally self-indulgent treat! 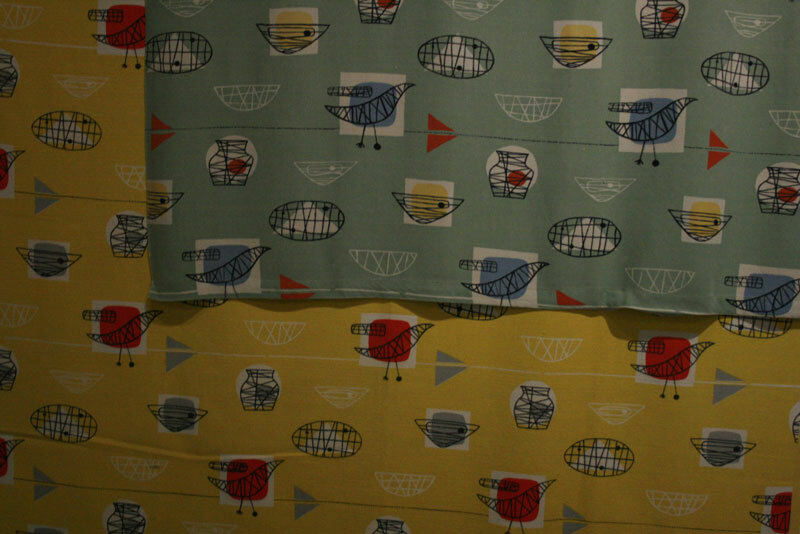 “Britain was at the forefront of international textile design in the 1950s and 1960s. 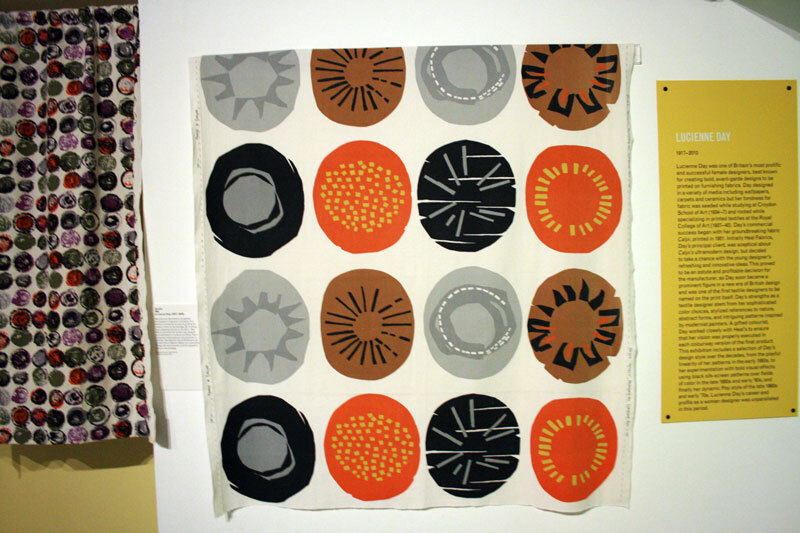 The art of textile design radically changed after the Second World War and three women artists working in England in the 1950s were pivotal in this artistic revolution. 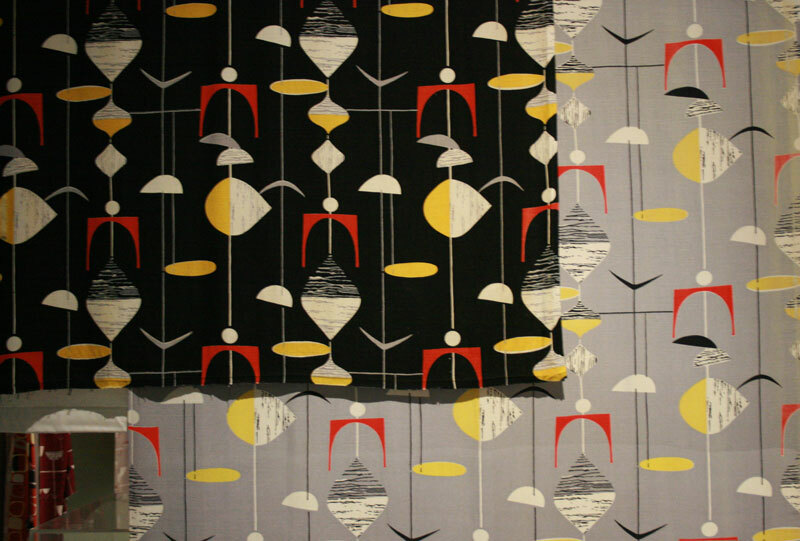 The drab days of the War were transformed by the fresh, progressive designs of Lucienne Day (1917–2010), Jacqueline Groag (1903–86) and Marian Mahler (1911– 83). 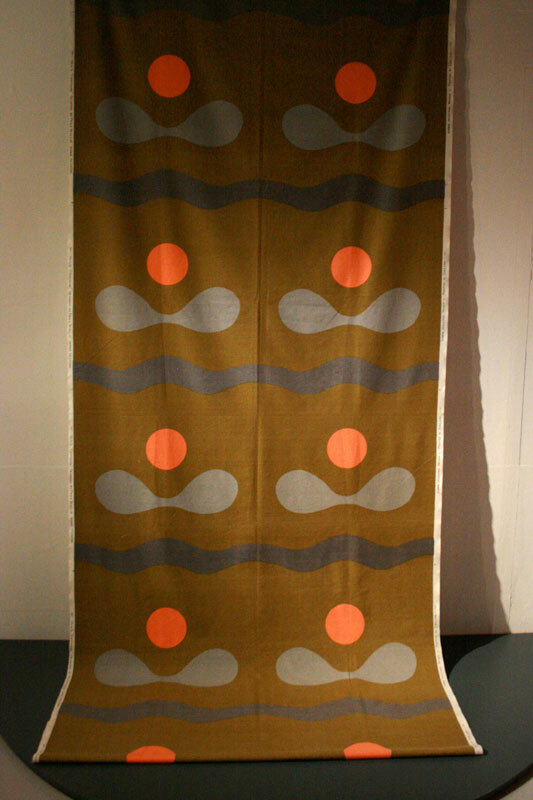 Designing Women: Post-war British textiles showcases their work beginning with Lucienne Day’s ‘Calyx’ pattern of 1951, featured at the Festival of Britain, and moving through textile commissions of the 1960s and 70s. The exhibition features more than 100 works. 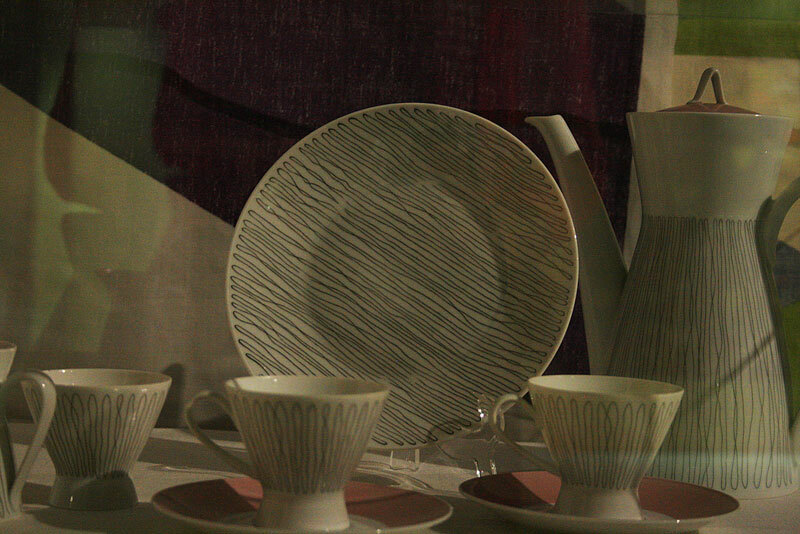 The influence of modern art is so strong in all the designs of this period. Its very easy to spot some iconic inspiration from Joan Miró, Alexander Calder and Kandinsky. 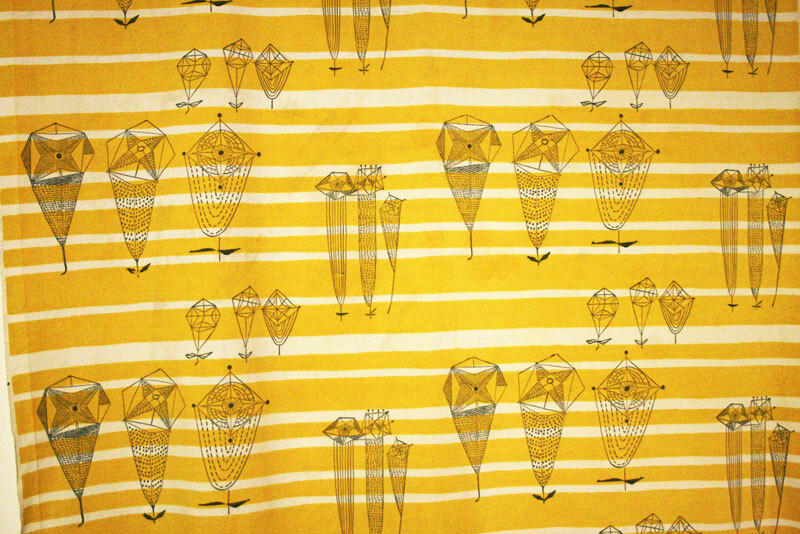 Lucienne Day, wife of Robin Day, was the most prolific and successful of the designers having kick started the ‘revolution’ with her ‘Calyx’ print in 1951. Heals, though at first very sceptical, was her first client. The work was considered too modern but the risk proved to be a good and profitable move for both parties. 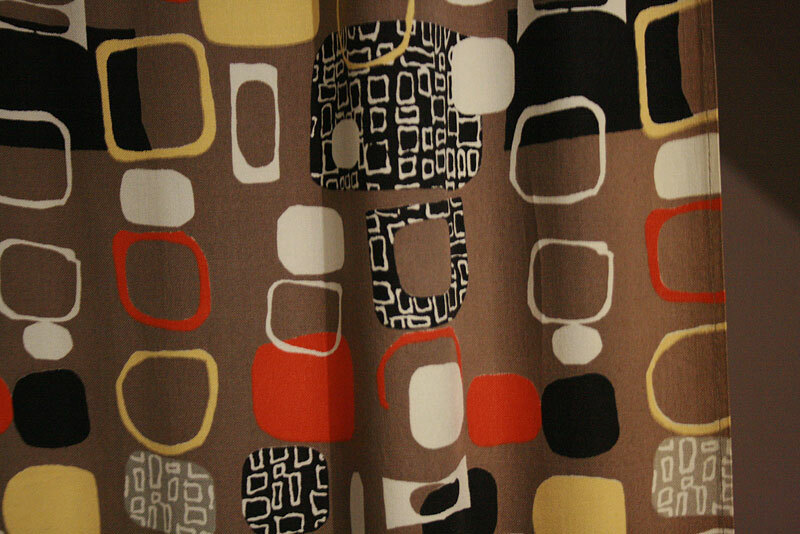 Lucienne Day was the first artist to be credited on the fabric itself. 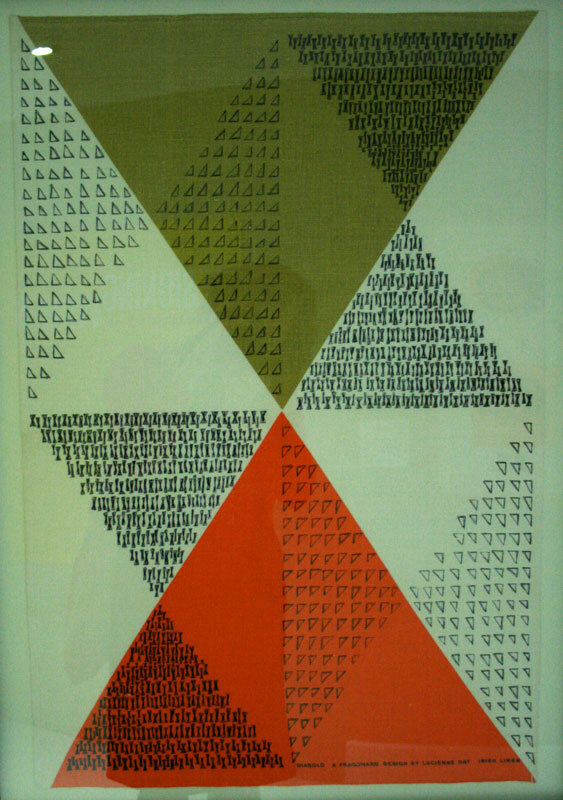 Jacqueline Groag was born in Czechoslovakia and emigrated from Vienna to London in 1939. 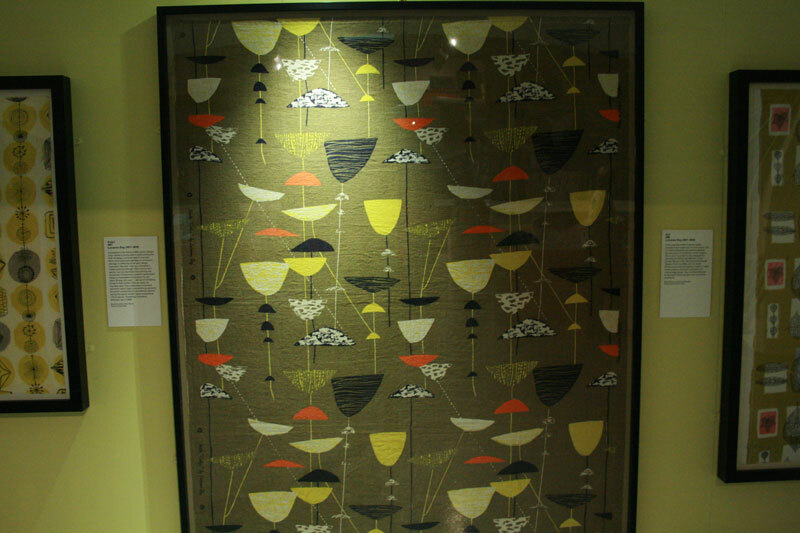 She is one of the key designers in Mid Century Britain having worked with some of the foremost textile manufacturers and retailers, including John Lewis, Associated American Artists and David Whitehead Ltd. She also produced laminated surface designs for British Overseas Airways Corporation (BOAC). The same company my mum used to make pilots suits for! 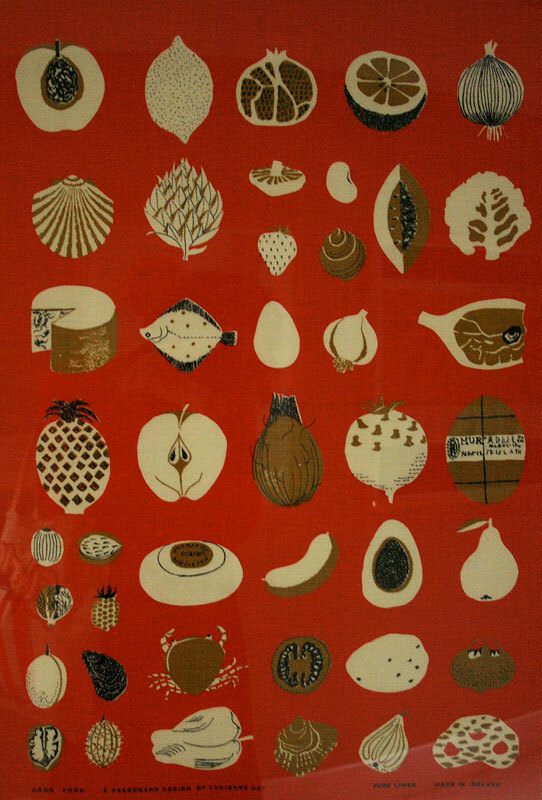 This ‘Pebbles’ design by Jacqueline Groag is so nostalgic for me. As I stood in front of it, it took me back to my home in the 1970s. 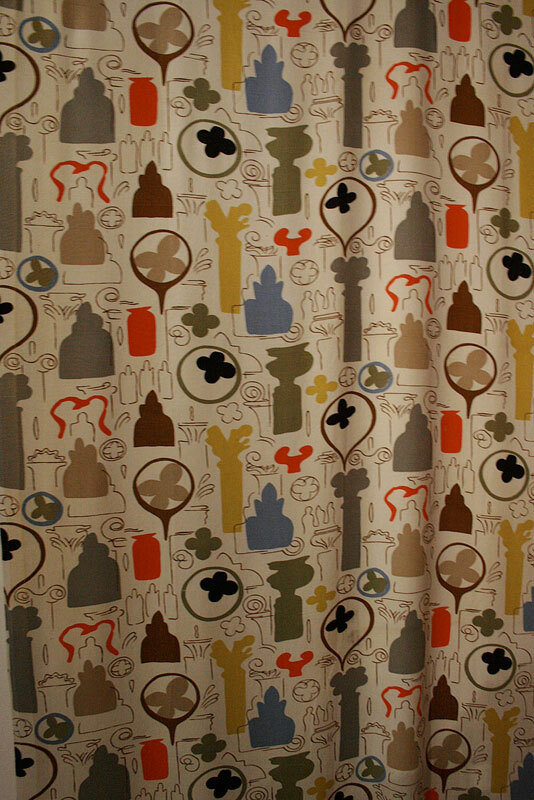 I can’t be sure that it was exactly this design but similar enough to generate some serious flashbacks! My mum had great taste! Marian Mahler was Austrian and emigrated to Britain in 1937. As artist and illustrator she combined both skills to generate designs for the younger, yet sophisticated clientele who were looking to create a stylish home. 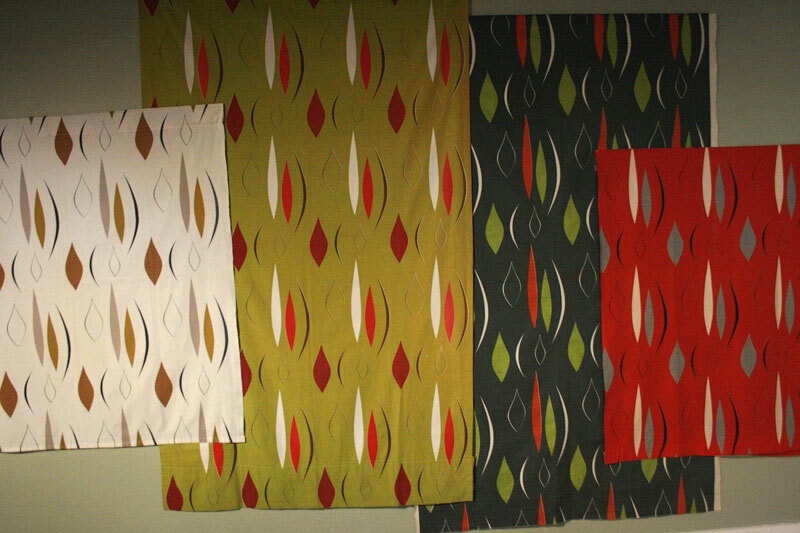 The fabrics were mostly rayon or cotton and the roller printing process made for fast production and an affordable end product. I just love the birds! The temptation to ‘touch’ was too much!!! 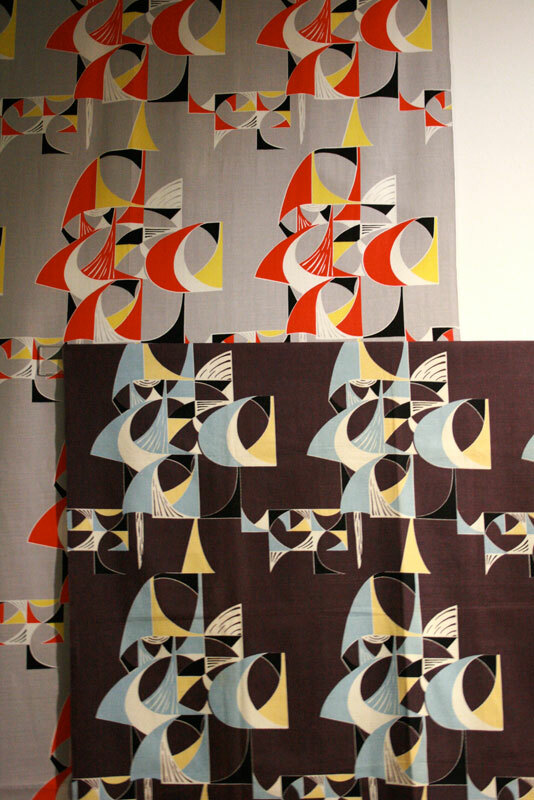 Paule Vézelay was a painter and her skills transferred beautifully to fabric design. So much so that I think a certain Ms Kiely looks to have drawn some serious inspiration, don’t you think?! I hope you have enjoyed this little preview. I do apologise for the quality of the photos. No flash photography was allowed so they are a bit grainy and really do not give any of the fabrics the justice they deserve! Well, best I get on with my real work now… the downside of freelanceness! I have been designing this dress in my head for quite some time. I design a lot of things in my head –in the shower, on the bus, when I’m meant to be doing something else and when I’m nodding off to sleep – it’s a busy old head! Anyhows, an invitation to the gorgeous Rhonda’s 30th bitthday party was a great prompt to put some of these ideas into action. I met Rhonda’s mum, Tina many moons ago when we moved next door to her and she soon became more than a neighbour. More confidante, great friend and the most wonderful childminder to my son. So this party was really a family affair and I needed a dress. I’ve got real issues with buying clothes from high street shops nowadays. I haven’t bought anything new (save underwear and shoes, of course!) in over a year and get much more satisfaction in making something myself or striking lucky in charity shops. I did think about making it a conscious decision when I started this blog but I know how flaky I can be and I didn’t think I could stick to that rule. Turns out I didn’t have to make it a rule. It happened quite naturally. I much prefer dreaming of what I want and making it or ‘rescuing’ from charity shops rather than settling for what’s out there. And now I really feel like I’ve moved on. This is my first dreamt of, self-designed and handmade dress. And I am chuffed to bits. The bodice pattern is slightly modified from Burda Style’s Wedding Special, issue March 2011. 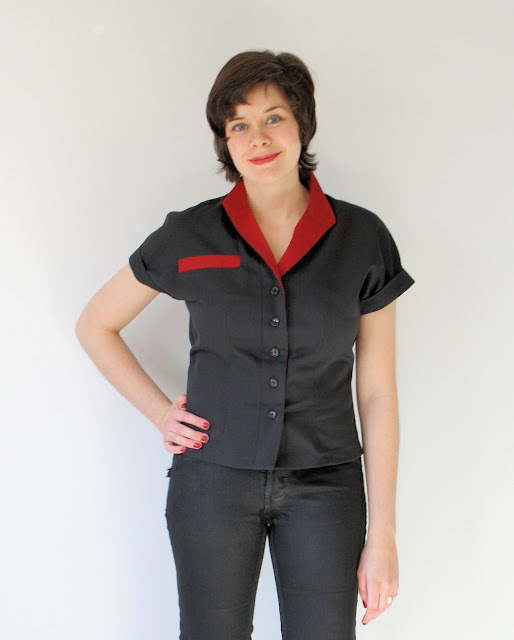 It has a v-back, a high neckline and is perfectly fitted with waist and bust darts. Below is the bridesmaid dress as featured in the magazine. The skirt section is self-drafted. It is a circle skirt with the inner circumference double the waist. The fabric is either silk or cotton, a silky cotton… or maybe a cotton silk! I did a burn test and it burnt to dust so its definitely void of any synthetic fibres! I had enough of it to self-line the bodice and it feels lovely against my skin and was cool enough under the flashing lights on the dance floor! I made the sash from a 3 metre, double layer length of chiffon, tapered at the ends and top-stitched. The rose print allowed for some interesting placement on the back. Quite happy about that! The dress is worn over an organza petticoat, again, self-drafted, which although not complicated, was more of a test of my patience than the dress. I will blog the petticoat separately given that I haven’t taken any photos of it yet. Unsurprisingly I didn’t get chance to hem the skirt by hand. And in a way, I’m quite glad I didn’t spend the time – can’t imagine how long it would take – I went for a machined baby hem instead. 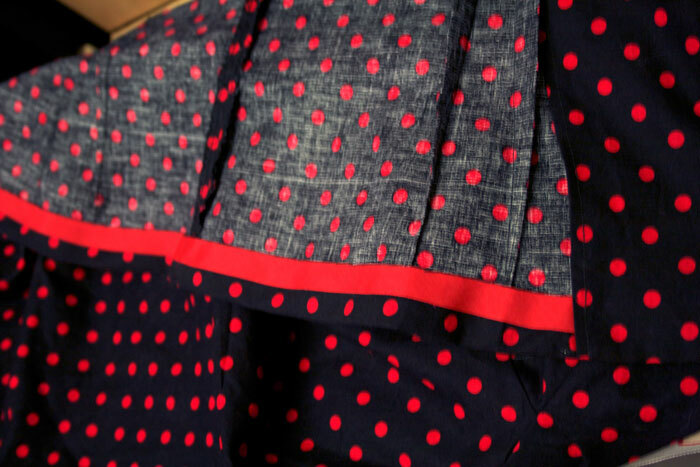 First I ran a line of stitching, a seam width, along the hemline. I used this as a pressing guide and it pressed up beautifully. I then tucked in the raw edge to the fold and machined again, using my quarter inch foot which made it really easy to keep a small and consistent hem. 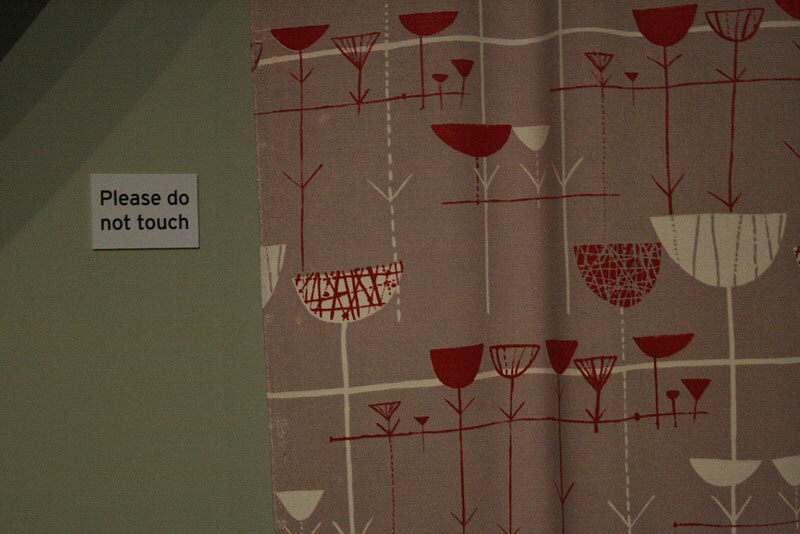 I was careful not to stretch the fabric as I went round so it didn’t pucker. I pressed it again… this fabric really is a pleasure to iron! 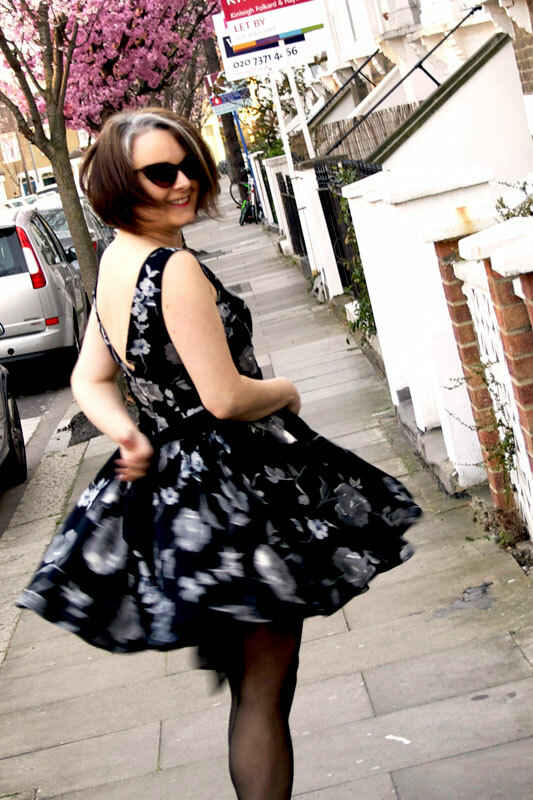 The most amazing thing about this dress is that it cost £3.50! £3 on the fabric – an incredibly lucky find in a charity shop – and 50p on the invisible zip. The sash cost much the same! The fabric was a little slippery and needed lots of pins to hold in place. This is my first dress in a silky fabric and I anticipated it being troublesome. That said, I really worked fast on this dress. Mostly because I had a party to go to and I suppose because there was no expense at stake… apart from my time! It irons beautifully and hangs so effortlessly so I can forgive the grief it gave! 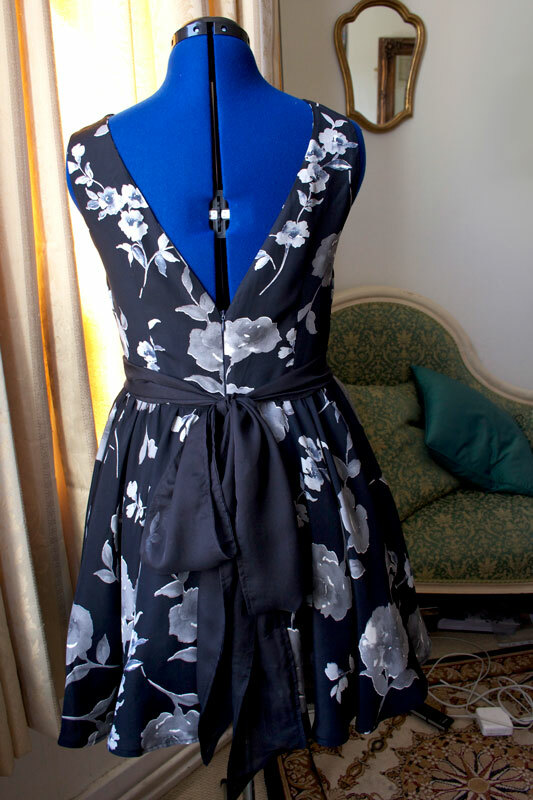 It took one evening to draft the skirt pattern, cut the fabric and assemble/line the bodice; a couple of hours to sew the skirt on to the bodice (I am really not a fan of gathering!!) and putting in the zip. 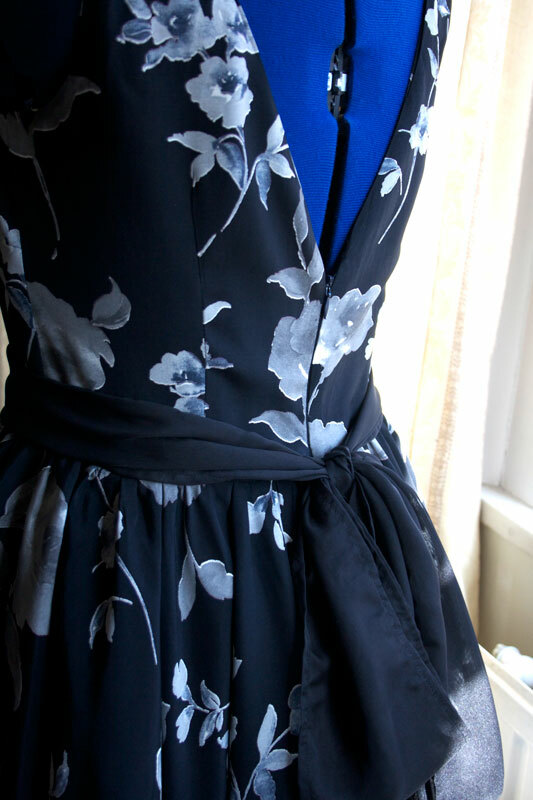 I hand finished the inside lining, hemmed the skirt and made the sash the morning of the party. I’m very pleased with how it turned out. I love the fabric and Im happy that a special stash piece got used for an appropriate project. It was just waiting for the right moment! 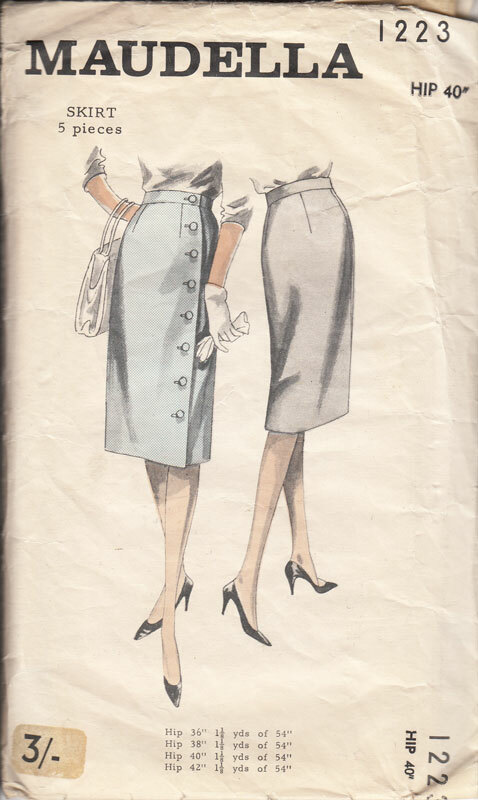 This pattern is one of Audrey’s collection which I singled out immediately as a great skirt to dress up or down. I’m assuming it’s 1960s but certainly a classic and timeless style in my book! It has been waiting patiently in line to be made and completely jumped the project queue when I remembered the amazing buttons that Mr Ooobop! found for me in Portobello Market. 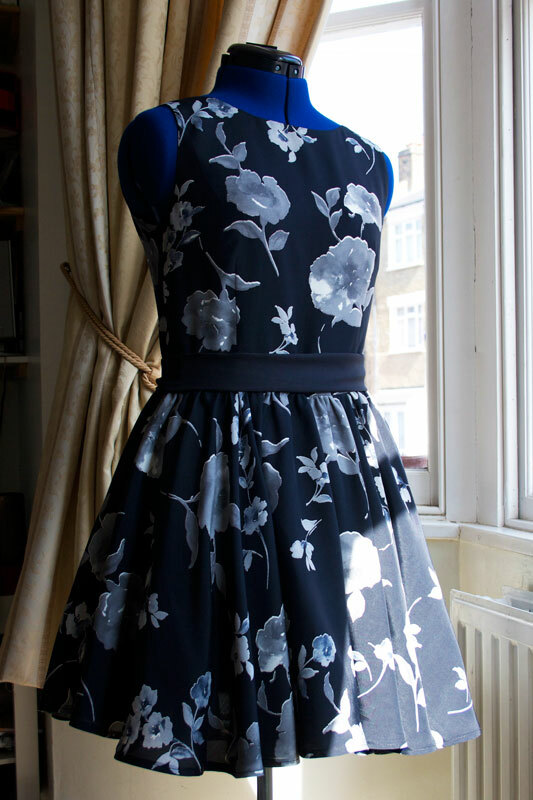 I didn’t want anything more complicated than black for the skirt and so I set out for a metre of cotton sateen. It has a little bit of stretch in it which makes for a comfy fit. But it is a bit of a collector of cat fluff I’ve since discovered! The instructions didn’t call for a lining and so I didn’t make one. But that was clearly a bad move. It sticks horribly to my tights and rides up when I’m walking so I am either going to have to go back and line it at a later date or get me a slip! My mum would think this highly amusing as I did my very best to avoid wearing one when I was younger… tantrums and all! 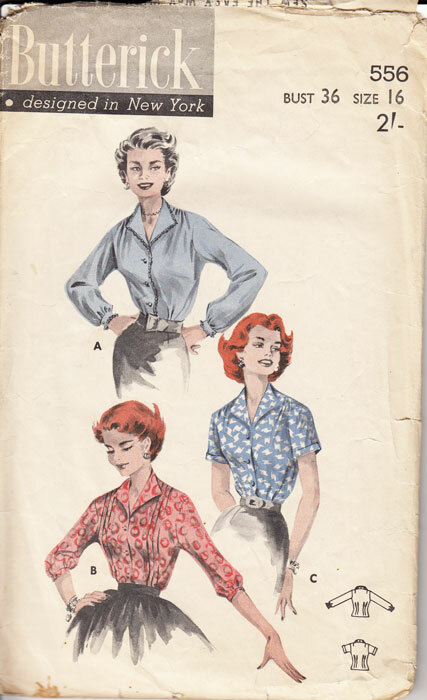 I shortened it by 5 inches which seems to be usual for me when it comes to a vintage patterns. 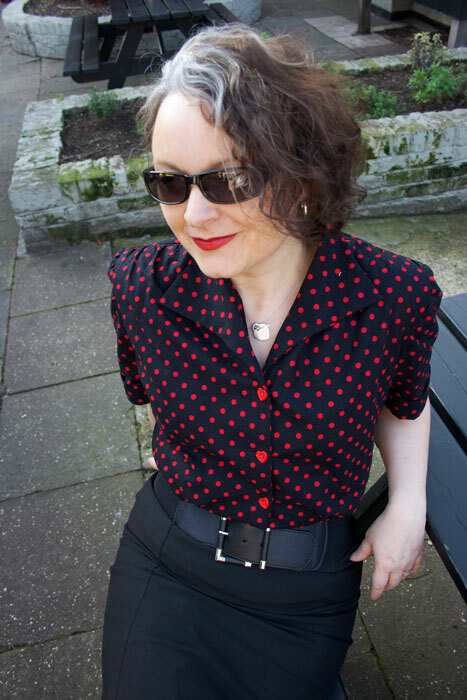 That said, it is still below my knee, a conscious decision, to keep it a vintage length but I’m more used to shorter length skirts and this length takes a bit of getting used to. I will have to wear it with heels so it doesn’t look to ‘grannyish’! 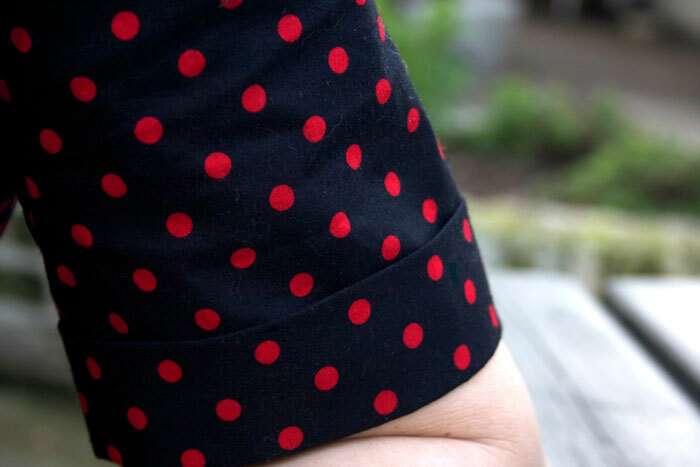 I wasn’t too sure how to measure off the pattern to check for any adjustments needed but given the button wrap around detail, the position of the buttons can be moved to add or take away an inch or two. I must learn to sew buttons on with my machine. This was the only tedious part but other than that I managed to whip it up in a couple of hours. I do regret not binding the hem or the seams. I think it would look much nicer. But I did sew the hem by hand. It would have been sacrilegious to machine hem in any case! I have worn the skirt to work already and got some lovely comments. But I really must decide on lining/slip before I wear it again. Just don’t tell my mum! 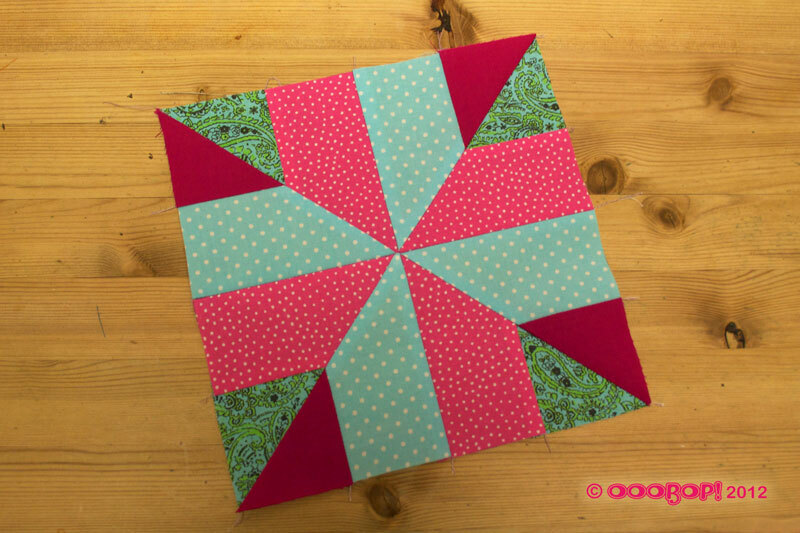 Introducing the Trafalgar quilt block. I knew there was a reason for skipping this one last week… tricky little thing that it was. I can’t believe something so small took a whole hour to achieve! I’m beginning to recognise the order that these blocks must be sewn but I really had to keep my wits about me for this one. The pink and the blue tapered rectangles must be laid out in opposite directions before they are cut and attention really must be paid to all those points meeting. I had a bit of trouble ‘chaining’ the triangle pieces as the point of the triangle kept getting ‘chewed’ by the feed dog! I had to make sure the needle was down into the fabric rather than just run into it from the last. For those not in the know, ‘chaining’ or ‘chain-piecing’ is an efficient way of sewing lots of pairs of pieces together by running them under the presser foot, one after the other, without stopping, taking a few stitches in between each pair. The pairs are then snipped apart with a pair of sharp scissors. I have found this works easiest with squares rather than triangles! And a big lesson learned for rushing straight into things… I forgot to adjust the position of my needle for the hole in the quarter inch foot is central, one position only. Needless to say the needle snapped on the foot and made me jump! But I got there in the end with a big sigh of relief. I really was holding my breath for each section join! History: It is a variation on the traditional Nelson’s Victory, which commemorates the British admiral, but in 1945 it was listed as ‘End of the Day’. 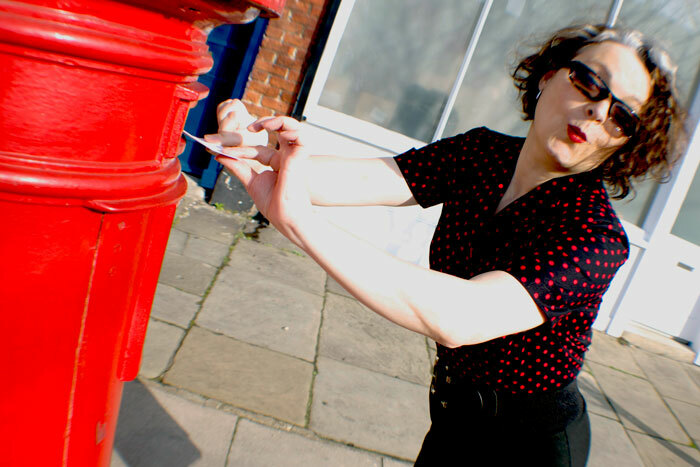 What a great post on Peggy Pickle’s blog this morning. Lots of lovely images showing the children of Great Mercy school and orphanage, western Kenya, wearing their pillowcase dresses. Alison did such a fab job organising this and a lot of fun was had in the making and embellishing of them. I have so enjoyed following her progress and seeing what a difference it makes. I really wasn’t expecting to see any of the few that I made among the hundreds that were made and shipped but to my surprise, peeking out from the back row, 2nd in from the left, I do believe that’s one that I embellished at the Pillowcase Embellishment party. Dead chuffed to see it in situ and so very glad to have played my tiny part in this fabulous project. Well done Peggy Pickles. You are a star! 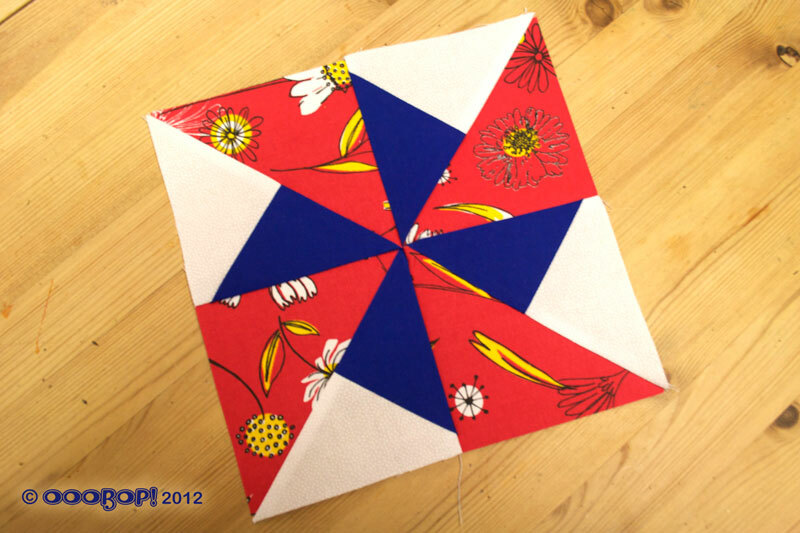 This is the Windmill block and the 6th in the series from the Art of Quilting. I haven’t forgotten number 5, the Trafalgar, I just fancied the colour combo more on this one! I’m getting a bit quicker with them now. Though I won’t yet reveal how fast as it probably still sounds a bit rubbish! But quilting certainly got easier thanks to MrsC for her recommendation to use a quarter inch foot. I ordered one pronto from Jaycotts, and was wondering why on earth my fabulous new machine didn’t come with one. The process was so much quicker and neater and much easier to control. Feeling all smug that not only did I get some patchwork done this evening, but it all lined up perfectly and according to plan, I went to put my new shiny foot in my special pull down compartment… only to realise I already had one…. doh! 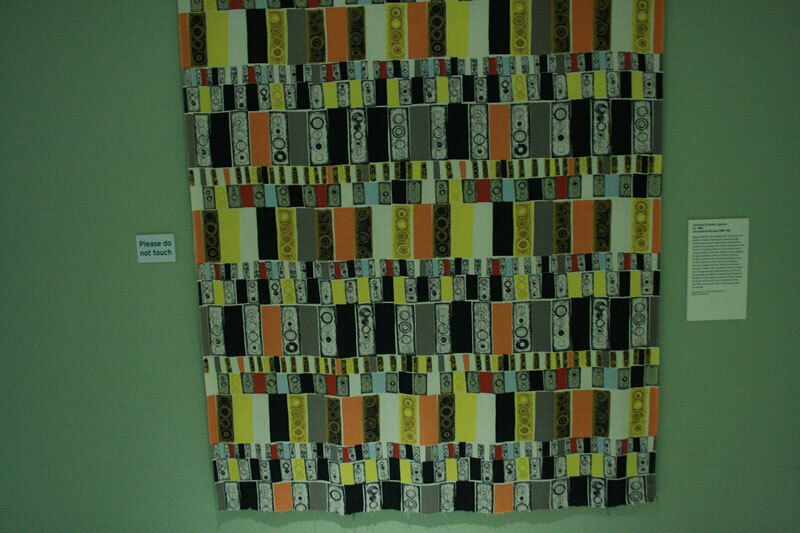 History: Variations of this simple but dynamic block go back to the earliest days of quilt making. Alternative names include Dutch Windmill, Double Pinwheel and Turnstile… all suggesting rotary movement. World Book Day was last Friday but as luck would have it, Little Miss Ooobop’s school had to delay the fun by a week which gave me 10 days to get my act together. 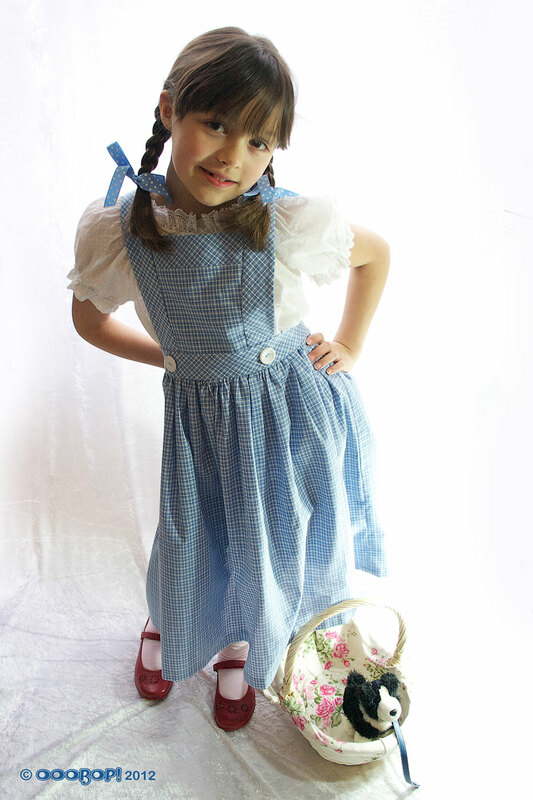 She had already decided upon Dorothy from the Wizard of Oz and I was quite relieved to be honest! The aim was not to overcomplicate issues this time! Well that was the thought. 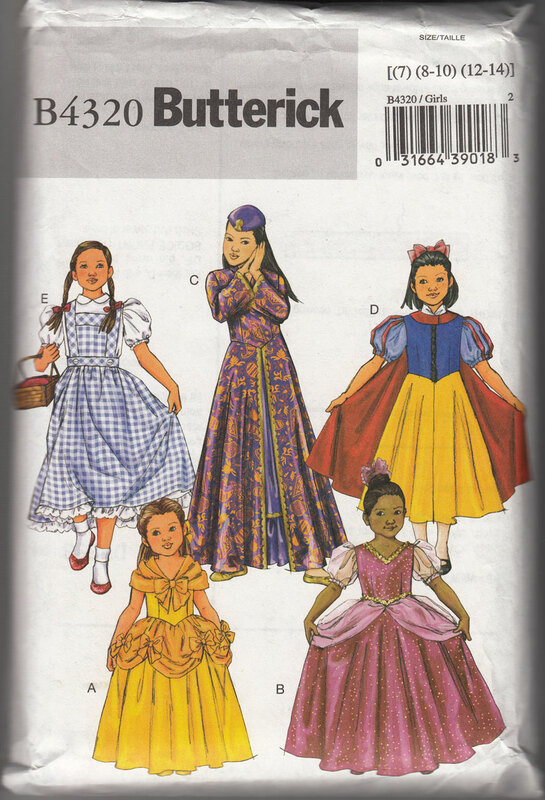 Butterick B4320 comes with a hundred miles of tissue pattern for each of the 5 very different costumes. It was bulging at the seams when factory folded so you can imagine me trying to stuff it all back in after I’d wrestled with it on the living room floor. Needless to say, the Dorothy pieces have been separated out into their own envelope for easy retrieval… if there is a next time! 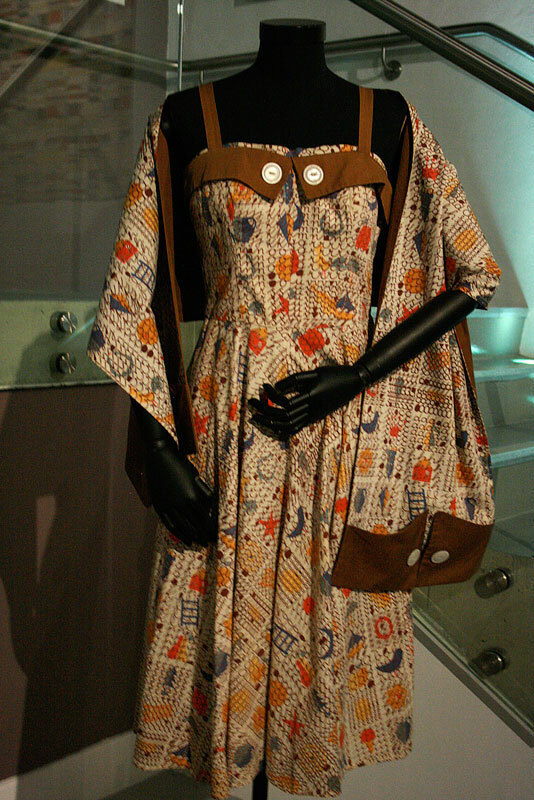 Though pretty easy to follow, this pinafore dress is incredibly well thought-out and is not throwaway costume stuff. The waistband is cut on the bias which gives a good, comfortable fit as are the straps and the top band of the bib. Each of those pieces are interfaced and faced and the inside facings are hand-stitched for a really neat finish inside. 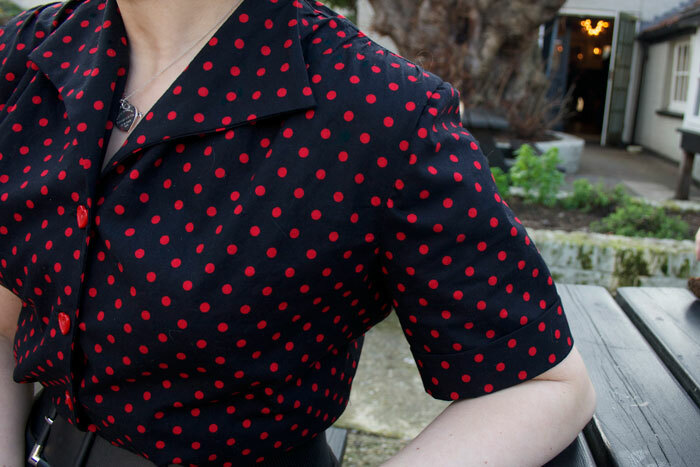 The back of the skirt has a zip in the back centre seam. Its been a while since I sewed anything but an invisible one but I quite like sewing in the ‘visible’ ones too! The straps cross over at the back and button on the inside though to be honest the buttons would have been a nice feature on the back too. This was a first time using the buttonhole stitch on the Brother machine and it sewed like a dream. 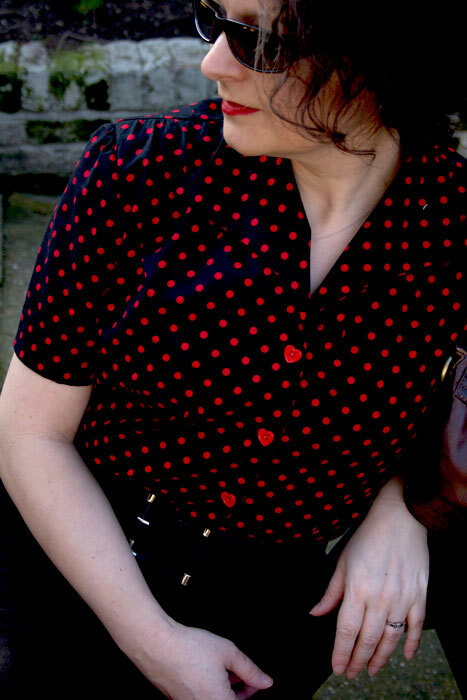 The two white buttons on the front waist band are for decorative purposes only but I think they are really cute! The only tricky thing about making this was when I ironed the fusible interfacing to the waistband. The iron was too hot, on steam setting and I managed to stretch it out two inches bigger than it was supposed to be! Easily recified though. (Rather than cut another one…) I just put the waistband facing on top and trimmed the excess! The fabric was a timely find in a charity shop. I had seen it the week before, thinking it would make a lovely blouse. Its 100% cotton. but held back with stash mountain in mind. So when LMO brought up the subject of Dorothy I made it my first point of call the next day and the fact that it was still there was amazing! £2 for a proper Dorothy pinafore dress is pretty good going methinks, even though its not proper gingham but ‘mum’s the word’! You may have noticed I didn’t go the whole hog and make the underdress too. I was up ’til midnight on the pinafore… I wasn’t about to do another shift for the underdress… I’ve got a jacket to finish, don’t you know?! 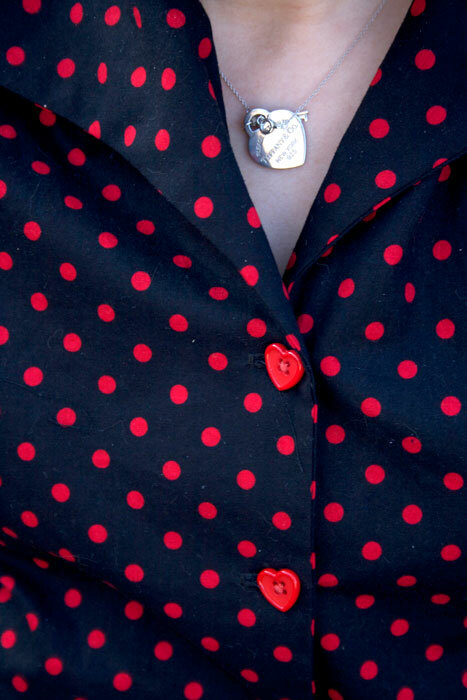 And so, did you recognise the little top underneath? It’s actually my peasant top I made last April 2011. I just pulled up the elastic round the neck and ‘hey presto’, it fits a 7 year old…kind of! I’ve just knotted the elastic so if I ever get it back I can still get wear out of it this summer. ‘Refashioned me-mades’ … oh how I have moved on! Big thank yous to the lovely Little Miss Ooobop! who makes a fabulous model and to the gorgeous Mr Ooobop! for his amazing photography skills.